Same here. I don't find Hux attractive but Domhnall Gleeson is quite good looking and seems like a nice guy too. 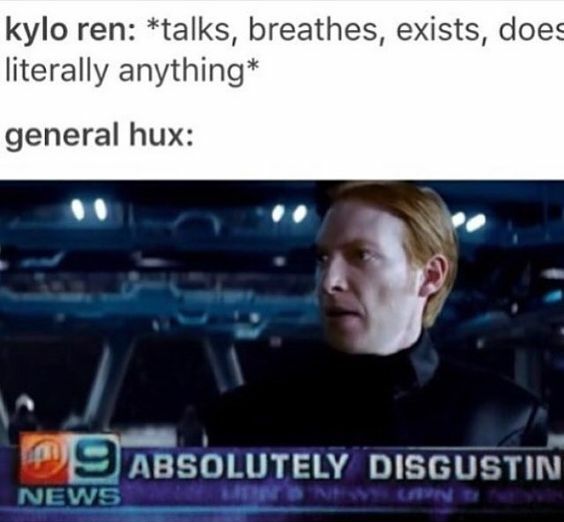 Hux is just the guy you can hate without second thoughts. Sure he may have a sob story too but he shows no sign of goodness whatsoever so let's hate him and enjoy his forthcoming death because we all know he's not going to survive this trilogy. 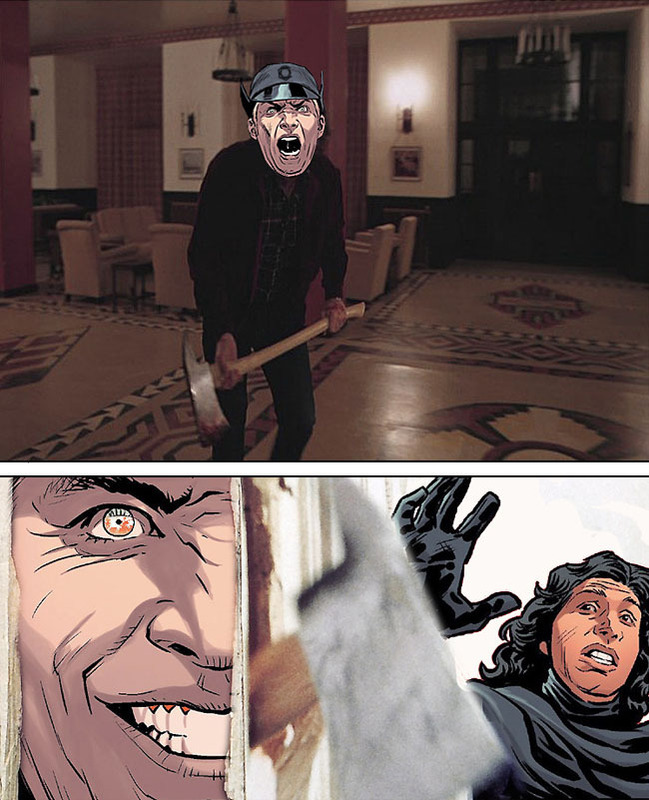 The question is only who will kill him. In a way he represents the colleague, relative, neighbor - you name it - that makes your skin crawl. No matter what they do. It's like they were born for this purpose At least that's how I see Hux. Please more Kylo and Hux comics! But not from a Kylux shipping angle. I just like the ones where they fight like the natural antagonists they are. Even better when snobby Millicent is also included. I only save the ones that are not from a romantic angle. I enjoy the hateful dynamics (because that's ACTUALLY canon) and don't ship them romantically at all. Ew! This image makes me happy. 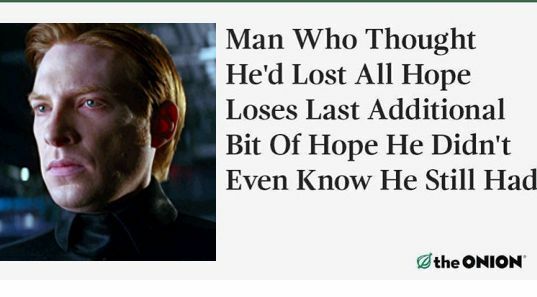 I know this is about Hux, but then, Sux, and then... Oh, well, nevermind. Is Kylux a banned topic here? I didn't know that. @BastilaBey wrote: Is Kylux a banned topic here? I didn't know that. It was determined by the staff awhile back that since this is a Reylo forum first and foremost, fan art or otherwise depicting ships that contradict it would be disallowed. If it's any consolation, I hated deleting it as it was beautiful art!!! I don't think it's Kylux per-se, it's directly talking about/referencing shipping countering SW ships (or something like that). Because this can't be a free-for-all forum or else there would be questions about why Finn/Reys, Kyluxers, Stormpilot, etc. can't be here and discuss their topics as long as they're tolerant. The board was created with a specific theme and purpose in mind and I for one completely agree that other "ships" (especially countering "ships" like Kylux that could potentially cause disagreements and serious arguments) should be monitored. It's all in the rules I believe. Nobody wants some kind of dumb "ship war" to break out here so it's best to just respect what the actual topic of the board is and leave anything else for other places. No other "ship" is allowed to have a thread devoted to it here (there might be an exception for "canon" ships like Anakin/Padme and Han/Leia though). The purpose of this thread was to post Hux fanart, jokes, comics, and really, to make fun of him lol. The intention was not to have any shipping going on in it. All images need to be appropriate as well. This image makes me laugh every time I see it. His face, lol. 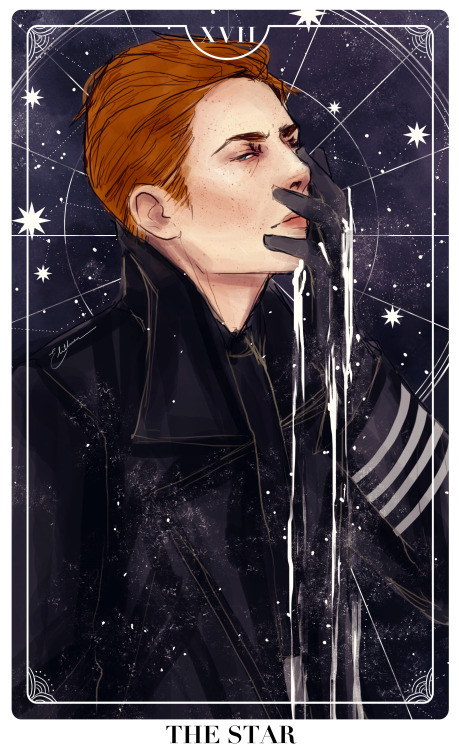 @Xylo Ren wrote: The purpose of this thread was to post Hux fanart, jokes, comics, and really, to make fun of him lol. The intention was not to have any shipping going on in it. All images need to be appropriate as well. Hey no worries, I just wasn't aware of the rule. This is my favorite Hux expression. Although let's be real, he basically looks the same in every scene. Like he smelled something bad. @BastilaBey wrote: Hey no worries, I just wasn't aware of the rule. Well, I don't think Hux is attractive, even though the actor is. I think he's too stiff and dry. And yes, he's always making faces as if he smelled something bad. That being said, I love Kylux fan art. It's a crack ship, for sure, but the art just makes him and Kylo together very beautiful. 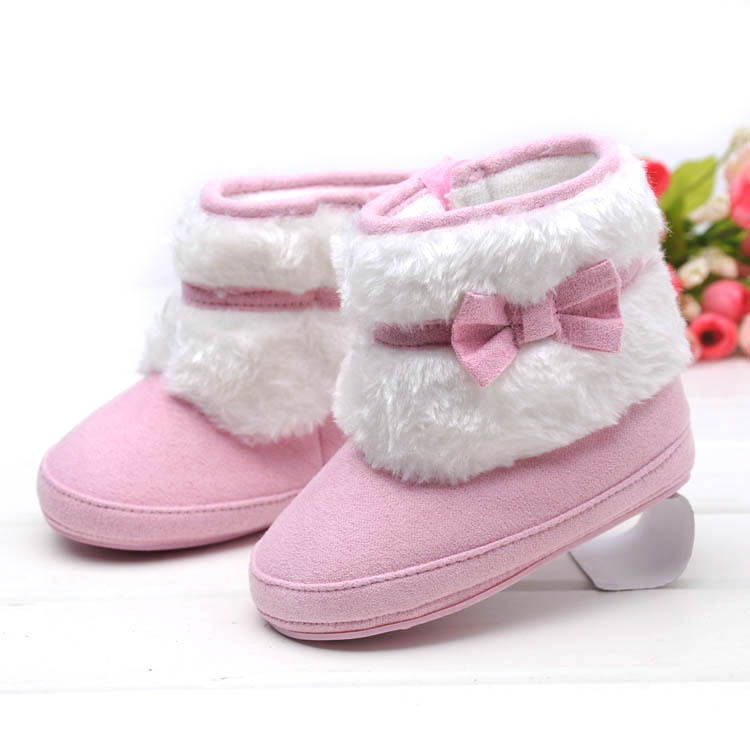 Oh, this is a cute one. 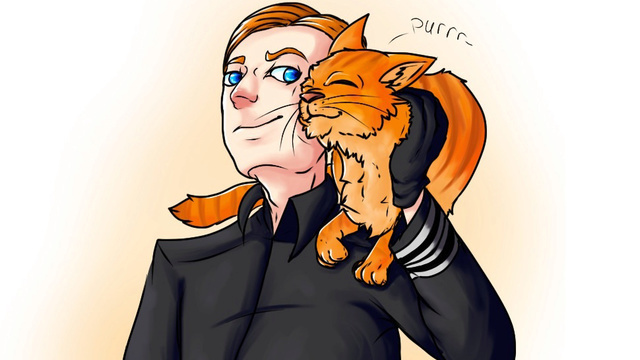 That's it, I am getting a ginger cat that I will call Hux. That way I'll have two would-be dictators at home since my current feline companion also has dreams of grandeur where she rules everyone. The fan art is apparently by one ice dragon. @SanghaRen wrote: Oh, this is a cute one. That's it, I am getting a ginger cat that I will call Hux. That way I'll have two would-be dictators at home since my current feline companion also has dreams of grandeur where she rules everyone. As a crazy cat person (currently at 3 cats), I regularly stalk the website of our local humane society. They routinely do "theme groupings" of names--particularly with litters of kittens (although they tend to not use villain names). They do Star Wars themes fairly often (and did a TFA litter a few months back). I swear, though, if they have name an orange kitty Millicent, that kitty will probably need to come home with me. I’d love that, even though it would add to the cats = evil movie stereotype Down with discrimination and harmful onscreen feline portrayal!! I must admit, I was initially disappointed with how lame a villain Hux seemed to be, but His Twerpiness has grown on me. I do like that he and Kylo are the same age and have an ongoing stare-off. We really are the best, aren't we!!! What's funny is, that "jazz hands" reaction never even took place in TFA. So not only did the artists make the characters less attractive, they took other humorous artistic liberties in these comics too. Poor Kylo is never going to live down those jazz hands. Lol. ha ha This is brilliant! And I can see it happening when Hux HAS HAD IT! "They laughed at my name. I laughed at their graves."